Toronto and Durham Region Newborn, Family, Maternity, Teen and Baby Photographer - Amy Simmons Photography Durham Region Family, Newborn, maternity photography. Servicing Whitby, Ajax, Pickering, Oshawa, Bowmanville, Toronto. newborn, baby, child & family portraits. 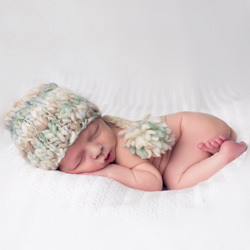 Amy Simmons is a professional photographer specializing in fine art maternity, newborn, infant, babies, children and family portraits in Toronto and Durham Region. Amy Simmons Photography studio is located in Whitby and also serves the areas of Toronto, Ajax, Pickering, Oshawa, and the Greater Toronto Area. She specializes in creating natural and artistic color and black and white newborn & family photographs, and also captures beautiful maternity portraits, baby portraits, child portraits and family portraits. Amy Simmons Photography sessions may take place at the studio or outdoors at a nearby park or beach location. Please call 289.385.2145 or email amy@amysimmonsphotography.com for more information. All images and content are the copyright of Amy Simmons Photography.